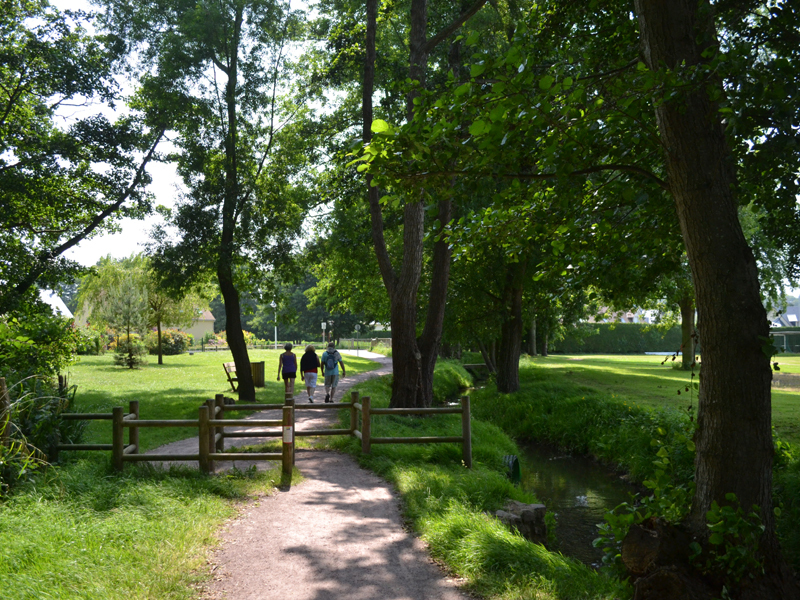 This tiny path of the Parc de Saint-Vaast leading to the marshes stretches along the 2-km-long Montcel stream. You’ll see trout when the stream bends or at the bottom of small waterfalls. Two small wooden bridges have been built to facilitate the stream crossing. The relief is hollow on the left and stretches along a hill on the right. You are at the bottom of the hill. The formation of streams is favoured by this kind of topography: water is supplied to the Montcel stream that flows into the marshes and the artificial lake of Villers-Blonville.